Here lies the final chapter in the first testament of Shocks, and as with the previous three releases, we're granted no mercy. A-side tracks "Trajl" and "Contagious" are a full fledged assaults on the psyche, taunting with just enough melody to convince us of musicality, but never really rising from of the swamp they're stewed in. 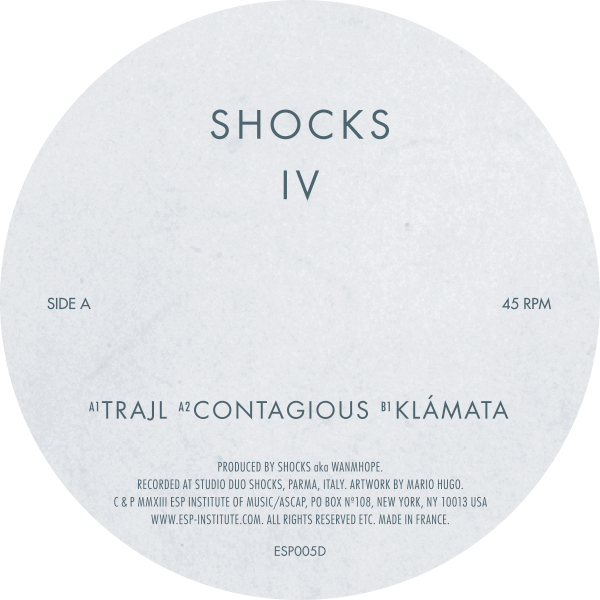 The B side closer "Klámata" could be seen as a comedown, but after a short while you realize that you've been led only deeper, left in a state of total disarray.